How do you mark the objects during guided reviews? The boxes do not look like they are centered correctly. You first click the center of the object, then click (or drag the mouse) in the direction of the objects head. 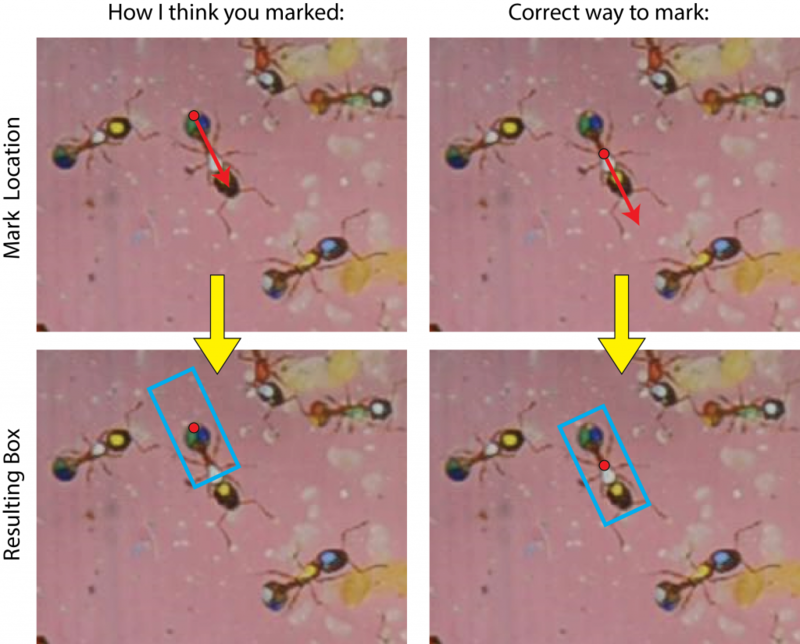 See the picture (below) of incorrect and correct markings. Previous PostHow come guided corrections results in a lot of overlapping tracks?